We appreciate your choice of a Primo Grill and Smoker. 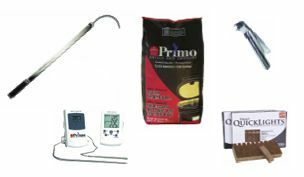 Properly set up and maintained, your Primo should provide years of worry-free outdoor cooking pleasure. Add the accessories below to maximize your grilling, smoking experience.